When it comes to social media, many authors either over-promote themselves or they simply avoid it because promotion isn’t allowed in some places. 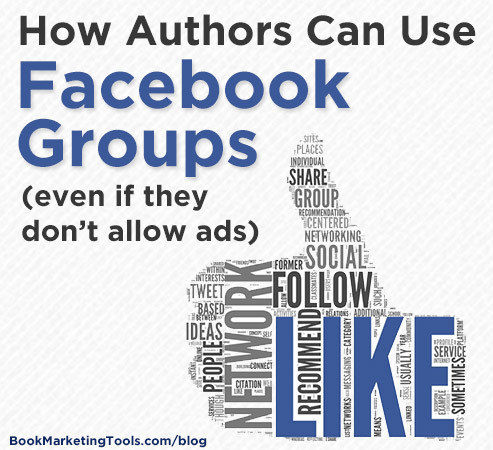 There are some Facebook groups that are full of readers but if they do not allow ads, how can you promote there? 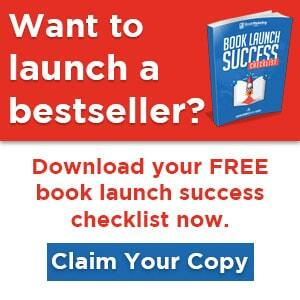 Author Jodie Toohey has some great tips to help you do just that. One of the best ways to promote your book online is on Facebook with its millions of users. You’ve probably done some of that work. Your Facebook friends and family all know about it. Maybe you even ran a Facebook ad and gained some new likes. But those new likes haven’t translated into many sales. You’ve likely heard at least a little about Facebook groups. You’ve searched and found some, but all of them have strict rules about not promoting books. Plus, these groups are for others writers. You need readers. Many authors find themselves in the same quandary of needing to attract readers but seeming to be only able to attract other writers. Connecting with other authors is great; most authors are also readers, but they can’t possibly purchase every book written by their author-friends. Because people like to connect with real people, it’s better to use a human profile when participating in groups. This could be your author page or your personal Facebook persona, rather than your book page. If you use your personal Facebook page, make sure your identity as an author is clear. For example, you can list “Author” or “Author of ….” as your subtitle and include it in your description. When considering a group, look for conversations and engagement. How many posts have several comments discussing a topic? How many are tackling substantive topics? How kindly does everyone treat each other? Is there a lot of negativity or mostly positive attitudes, encouragement, and support? Think beyond groups about writing, publishing, and book marketing. Those are good, but think about the other topics in your book. If it’s a non-fiction book, this will be easy. If it’s fiction, you need to be a bit more creative. If it’s historical, look for groups covering your time period. If it involves an animal, join that animal-lover group. When searching for genre-based groups, make sure to search for the keyword “reader” – like “mystery readers.” If you can’t tell, request to join and try it out. You can always un-join later. Most groups on Facebook are trying to grow so they welcome most everyone, but some tight-knit groups might not accept your request. That’s okay. Just keep searching. New groups pop up every day. When browsing a group, comment where you can add true value. Answer questions. Give encouragement. Share your experience. Have real conversations and build friendships. If it’s pertinent to your reply, mention that you are the author of such-and-such book or that you’ve done research on this or that while writing your book. Keep the mindset that you’re making connections and having conversations, not selling books. Be real and authentic. After you feel comfortable and participate in a few conversations started by others, try starting your own. Post something that invites response. Ask a question. Whatever you do, make sure it relates to the group’s stated mission. Though as a rule, it’s not okay to be salesy and obviously promotional in Facebook groups, it is okay to speak up if someone provides an opening. Someday, someone might post the question, “Anybody know of any good novels featuring xyz?” Go ahead. Tell them about your book and include a link to the buying page. When you connect well with someone, try to take the relationship outside of the group. Start a conversation through private messaging or meet on Skype. See if you can become regular Facebook friends, follow each other on Twitter, or connect on Linked In where you are allowed to (and expected to, at least some of the time) announce new releases, reviews, and blog posts. When using Facebook to promote your book, remember that it is called social media for a reason. It’s not sales media. Just remember the goal is to have conversations and gain connections. Eventually, you’ll build awareness about you as an author and your books, increasing sales. Plus, you’ll make some new friends in the process. Jodie Toohey provides independent solutions to help authors get their books finished, ready for publication, and into readers’ hands through her company, Wordsy Woman Author Division. She’s also the author of four published books: two poetry collections, Crush and Other Love Poems for Girls and Other Side of Crazy, and two novels, Missing Emily: Croatian Life Letters and Melody Madson – May It Please the Court? Her newest novel, Taming the Twisted: Gaining Ground After the Great Tornado, is due out the summer of 2015. Learn more about her books on her author website.